All proceeds from reselling the vehicle you donate will go toward services at the Union Gospel Mission’s four shelters right here in the Inland Northwest. UGM Motors converts that car or boat you aren’t using anymore into food, shelter, job training – and hope – for your less fortunate neighbors. And don’t just take our word for it: Check us out. UGM is committed to using your donation responsibly to produce the greatest possible impact for the men, women, and children we serve. Unlike some other donation programs that auction vehicles “as is,” UGM Motors can increase your tax deduction by increasing its value before resale. Reconditioning and repairs done by our ASE-certified mechanics maximize the resale price, and that becomes your deduction amount. It’s a win-win for everyone! 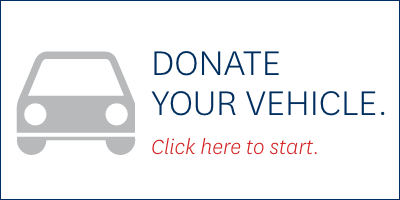 So instead of being saddled with registration and insurance costs for a vehicle that isn’t even running, or having the hassle of trying to sell it or trade it in, call us at (509) 327-4357 or click the button below to donate it to UGM Motors. We’ll handle the paperwork and tow it away free of charge.